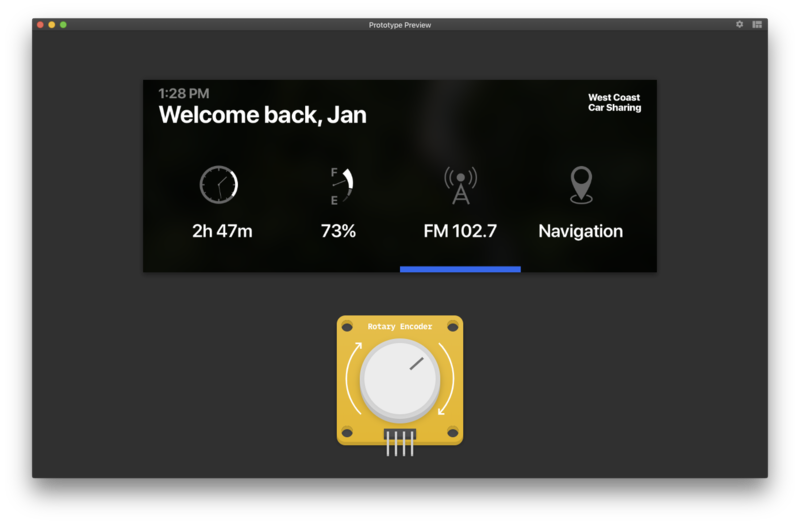 Flux Studio is built around the idea that you can visually connect devices' states together. 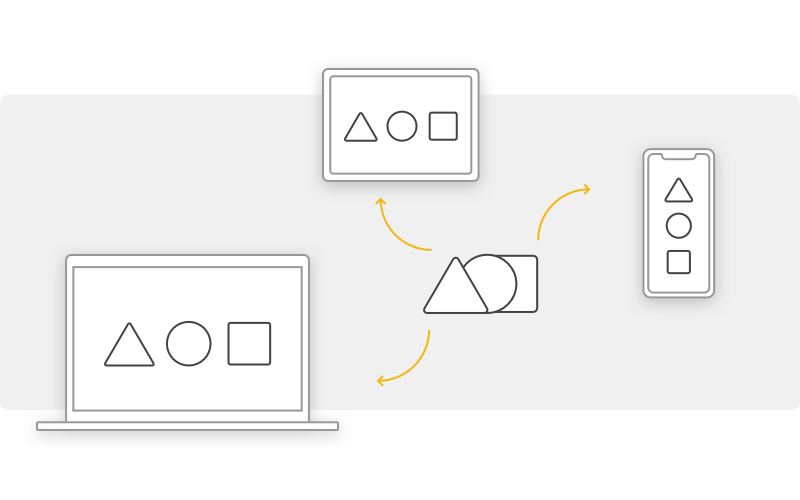 Instead of writing code or defining linear flows, in Flux you can build reactive prototypes that work between multiple devices. 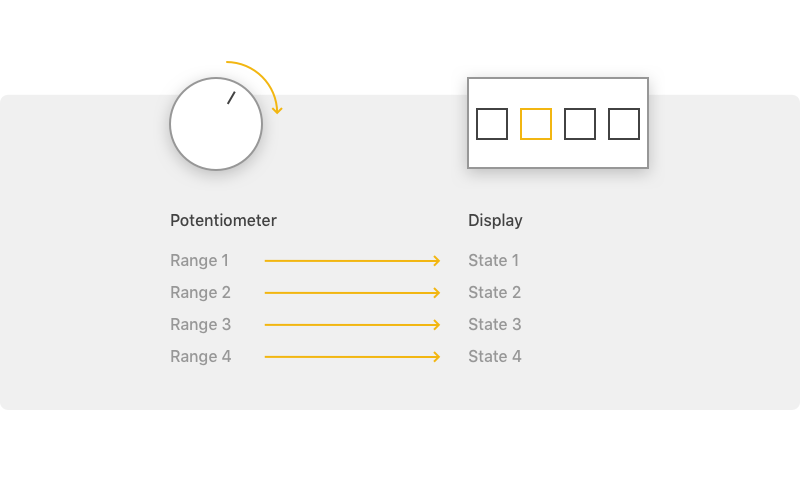 For example, when building an interaction where a display reacts to a dial's (potentiometer's) rotation, you simply assign states to both devices and link them visually. The main part of the application is split into two segments: the Flow Editor and the device overview. You can add more devices from a comprehensive library of electrotechnical sensors and actors. In the Flow Editor you build device relations and the behaviour of your prototype. 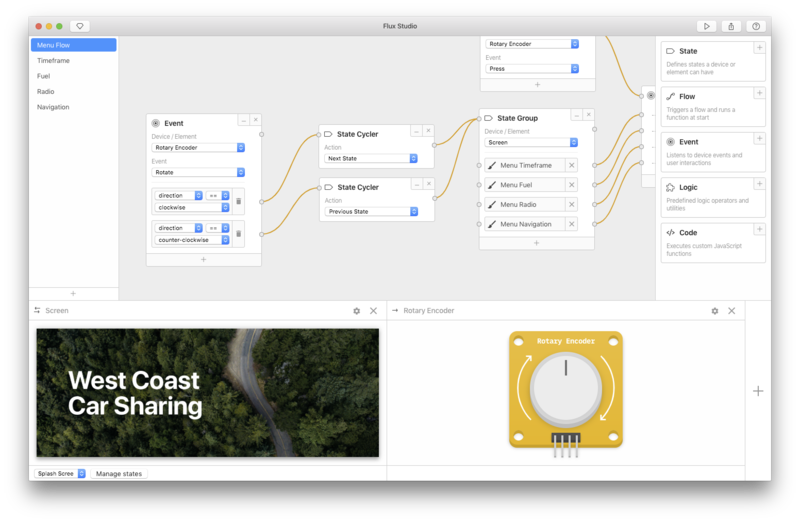 You can drag and drop to add nodes and divide your prototype into multiple flows to stay organized. You can always test your prototype in the main editor, but the Prototype Preview window allows you to quickly test in the user’s context. Just add a background image, resize and position the individual devices to start user testing immediately. Many online services offer a continuous workflow by synchronizing information across devices and saving data on their cloud platform. Google's G Suite is accessible from many different types of devices, browsers synchronize history, tabs and bookmarks and Spotify allows to actively push music playback from one devices to another. Flux Studio is the result of my Bachelor Thesis "Prototyping Cross-Device Experiences - A concept for prototyping in the era of distributed user interfaces" which I worked on between October 2018 and Februar 2019. The Bachelor thesis was part of my studies at the University of Design in Schwäbisch Gmünd, Germany where I received a Bachelor of Arts from the "Internet of Things - Design of Networked Systems" program. If you want to learn more about the concept and the process that led to Flux Studio, feel free to take a look at the thesis.